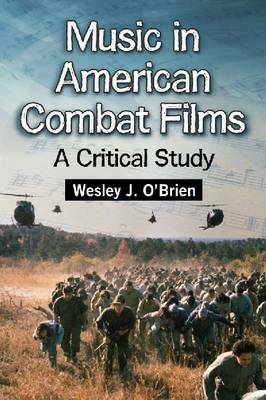 The book explores ways in which combat film scores interact collaboratively with other film elements (for instance, image and dialogue) to guide audience understanding of theme and character. Examined are classical and current models of film scoring practice and the ways they work to represent changes in film narratives taking place over time or from film to film. Differing approaches to scoring practice are considered as possible reflections of prevailing cultural attitudes toward war and warriors during the time of a film's creation, the war it represents, or both. Observations of cinematic representations of masculinity, heroism and war raise questions regarding whether (and if so, to what extent) we have lost some measure of faith in our country's motives for, waging war, and in the traditional models of what we think it means to be a hero.